Our contribution to the amazing post-apocalyptic fashion on display is Haley. This outfit is comprised of a bodysuit, harness, garters and arm guards…all of which can be worn separate. 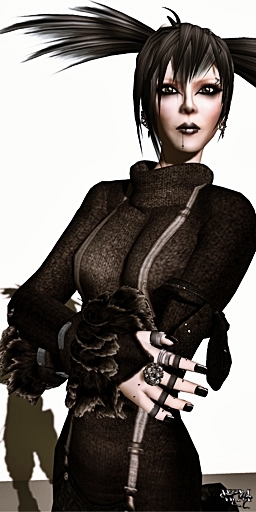 Haley comes with a texture changing HUD and is made for Maitreya’s Lara. Again it is Yasum time ;). Azlyn Vaher released another awesome full outfit called “Vintage Dream”. This outfit really gives each avatar a young and modern look. It contains top, pants in 2 version – one long one capri – and the cool cute boots. What I really love on Yasum outfits is the incredible love for the little details. As for example you have an open safety-pin with a tiny label on the left chest side, or the amazing prims of the pants that make them look so real. 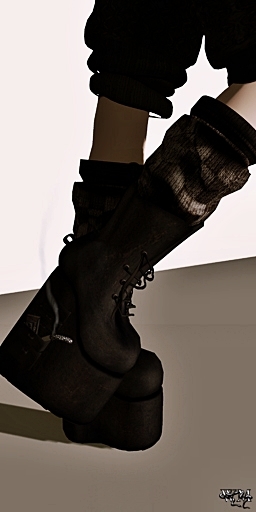 The top has wonderful wrist parts as well that give a special touch to the gloves.